Julie McDowell from Dandelions and Poppies is a creative soul and teacher who has discovered our plaster stencils for use on Furniture. 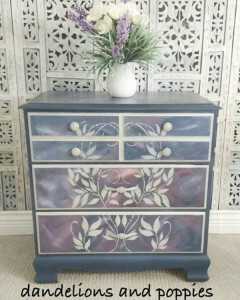 Here, she does a make over on this chest of drawers using our Raised Plaster Palisades Frieze Stencil. 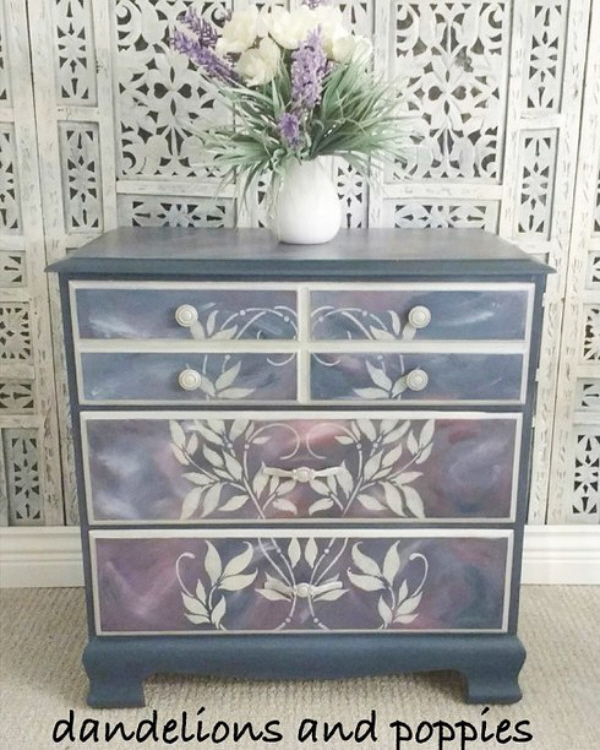 She created a multi-tone back ground over the piece then used this stencil with paint to cover all of the drawers. Creative and so beautiful! Julie will soon be doing a live tutorial on hometalk.com watch for it!